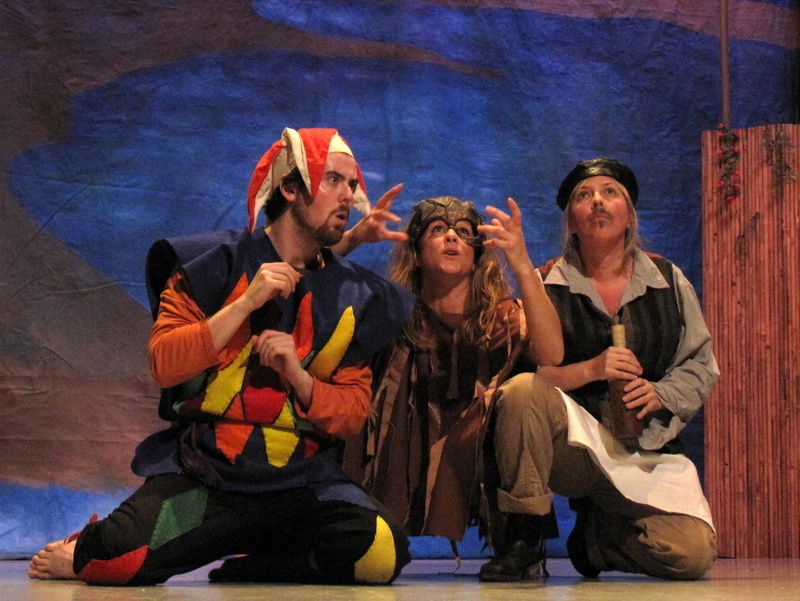 The Early Bard Gets the Discount- Book Now! *Book either of these shows before October 16, 2015, and SAVE $50! WIN Tickets to the Shakespeare Challenge! We can’t believe that there’s only one week left until our Champions take the stage at the Shakespeare Challenge fundraising gala on May 21! And guess what? We have managed to save some tickets to give away to our dedicated online friends and followers@ Guests will be treated to a Shakespeare play, music, food, drinks, and a live and silent auction! Entries will be accepted until 11:59 PM on Sunday, May 18. Good luck! *You must be at least 19 years of age to enter. Winners will be selected by a random draw, and will be contacted on Tuesday, May 20 to confirm their name on the guest list. 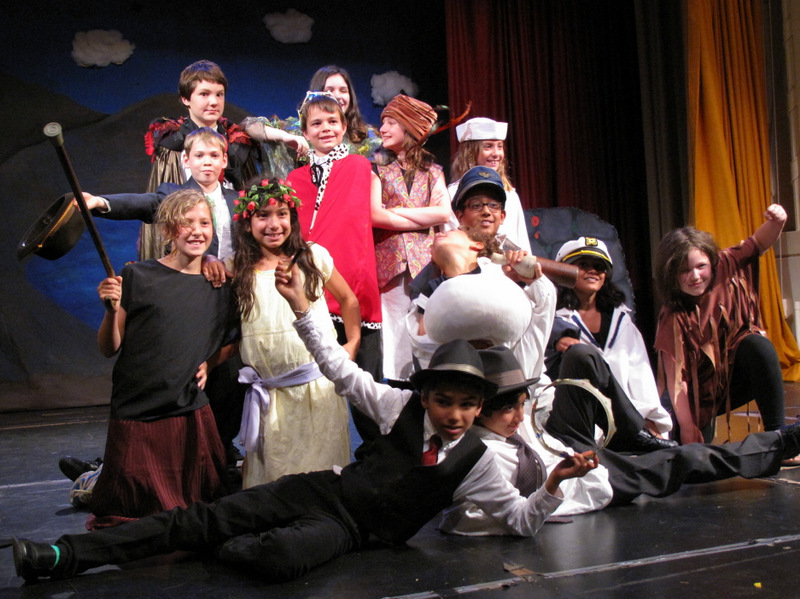 Shakespeare Summer Camps- Be the Early-Bard and Save! Work with a professional actor. Act, sing, improvise, design sets & costumes. Make friends with other Shakespeare fans. To see photos from last summer, click here! Learn stage and film techniques. Get a head start on high school. Build confidence, have fun, and..
I’ve seen a lot of online discussion about comics as a teaching tool. What you’re probably wondering is how are they being used and what is the impact? Back in October, The Toronto Sun did an article on teacher Peter Kmet’s usage of comic books in elementary and high schools. The objective: getting kids interested in reading and writing, and encouraging high school students to be interested in reading and discuss complex issues such as racism and alcoholism. Kmet picks comics that have a moral focus, where characters don’t just solve their problems with a violent brawl, turns them into a script, and takes the script to classrooms. The scripts are the focus of a reader’s theatre exercise, where students engage with the content, by actively portraying the characters. 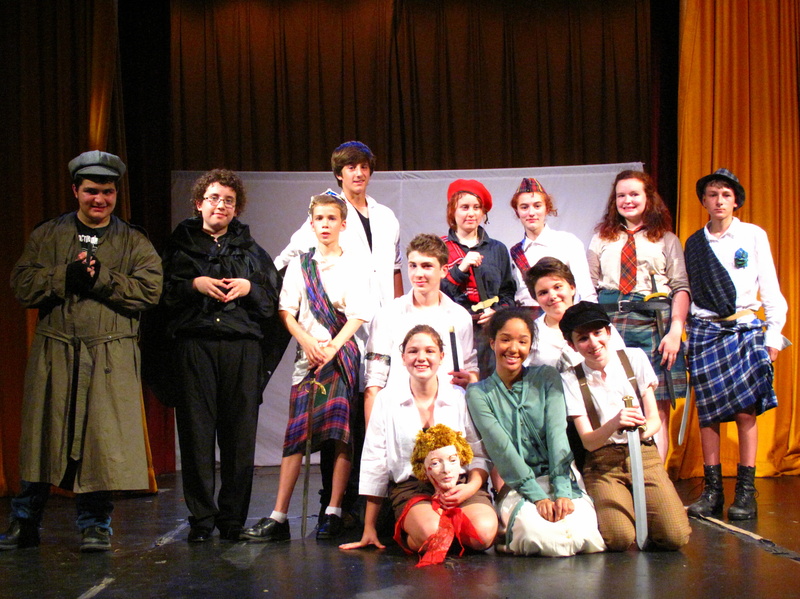 This program has proved to be extremely successful and the students that participate have gone through a rapid transformation, from nervously reading out loud to actively participating, either as readers portraying the roles in a loud booming voice or active listeners, intensely listening, while having the script read to them. But what about Shakespeare? There are so many comic book adaptations of Shakespeare’s plays available, everything from the No Fear Shakespeare graphic novel adaptations, to the manga editions of Shakespeare’s plays, to the Shakespeare plays that have been a part of The Classics Illustrated comic book series, and many more. In order to adapt these plays to the comic book medium, some of them focus on simplifying the speeches so that what the characters are saying is closer to contemporary conversations and shorter. The point is to tell the stories of Shakespeare’s plays in a style that has the familiar aura of a superhero comic book, manga, or graphic novel, in order to encourage interest in Shakespeare’s stories. The point is to read the simplified version in order to understand the story better and hopefully encourage an interest in the original. The Shakespeare comic books have the same purpose as Kmet’s comic book focused teaching: encouraging literacy in a way that’s welcoming, engaging, and fun. Comics are a popular part of contemporary culture, especially amongst young people so they’re a great way to introduce classics to young people. What is your favorite Shakespeare comic/ graphic novel adaptation? Let us know! In Za’atari refugee camp, a Syrian actor is using theatre to help dozens of displaced children create a better “habitation” out of “airy nothing.” Nuwar Boulboul, former star of the Syrian soap opera Bab al-Hara, has adapted two Shakespeare plays for children, and is training more than 6 dozen children from the camp. The young actors rehearse in one of the camp’s tents, using props and decorations they make themselves. Boulboul’s only request of his students is that they agree to attend one of the three schools set up by aid societies to serve the more than 25,000 children living in the camp. 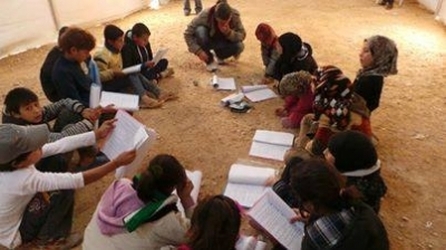 Before the uprising, Syria had one of the highest literacy and school enrollment rates in the region, but most of the children in Za’atari have now been out of school since the uprising began three years ago. Along with the acting training, Boulboul’s program builds children’s literacy and social skills, and provides them with a safe space to discuss and understand their feelings of loss, fear, isolation, and anger through the universal themes of Shakespeare’s works. Shakespeare in Za’atari provides a welcome creative and educational service to a population struggling to meet even basic needs. This project is also an opportunity to draw the world’s attention to Syria’s refugee crisis. The children will perform their productions of Hamlet and King Lear for World Theatre Day on March 27th, 2014, and Boulboul is hoping that UN Secretary General Ban Ki Moon and other world leaders and celebrities will attend. The students of Shakespeare in Za’atari are lucky to have support of an educator like Nuwar Boulboul to ignite their imaginations and lift them out of their circumstances. The selfless dedication of Mr. Boulboul is an important reminder that all children, regardless of circumstance, deserve an education and a childhood. If you are interested in learning more about Shakespeare in Za’atari, you can visit their Facebook page! Happy New Year, everyone! The SIA team is back into the swing of things after the Winter Break, and we’ve got some great projects lined up in the coming months! Here is a taste of what is happening in 2014. 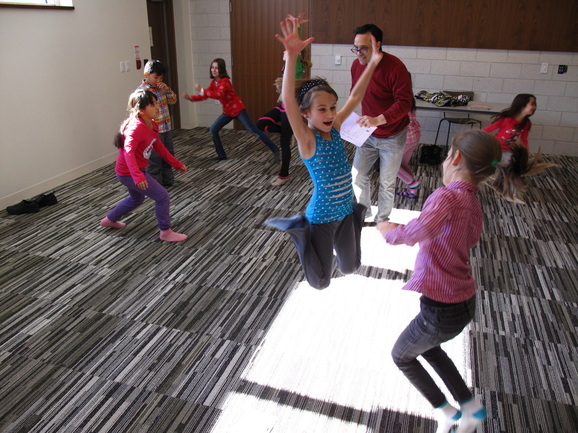 The TD Shakespeare for Kids Library Club is our free readers’ theatre program for children ages 7-12, and is located at Toronto Public Library branches across the city! 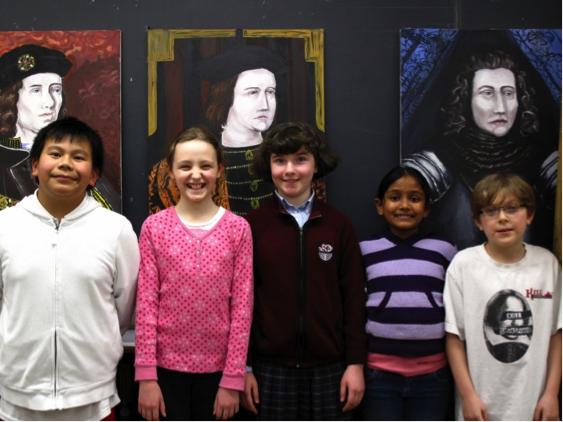 The Winter Session runs on Saturdays from February 1-March 8. Visit a participating branch to register! The Shakespeare Challenge is back for the third year! 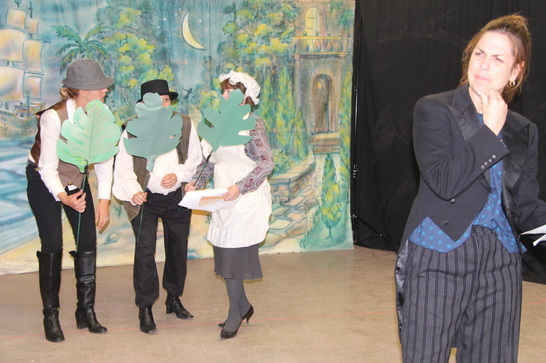 This year, our fearless champions will be performing an abridged version of Twelfth Night. On top of that, they will be raising money for Shakespeare in Action’s subsidized ticket program, providing access to theatre for students across Toronto. Tickets for the gala performance and silent auction on February 8 will be on sale soon, so make sure to check back for more information! Looking for a creative way to tell someone you love them this Valentine’s Day? Why not let us do the work! Purchase a Sonnet for your sweetie for only $25, and one of our talented Shakespeare Kids will call your loved one to recite a Shakespeare Sonnet just for them! Make sure to purchase yours today! Romeo and Juliet returns as part of the Double Tragedy this Spring, along with Macbeth. Already enjoyed by thousands of students across Toronto and the GTA, Romeo and Juliet will run from March 27-April 10. For more information on performance dates and times, or to book your seats, visit the Romeo and Juliet show page! 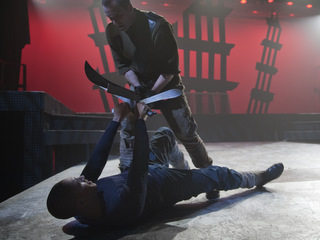 Macbeth is the second show on board as part of the Double Tragedy this Spring. Like Romeo and Juliet, this show has been enjoyed by thousands of students across Toronto and the GTA, and will run from March 28- April 11. For more information on performance dates and times, or to book your seats, visit the Macbeth show page!